The comprehensive online management information service for HR and compensation professionals, used by thousands of successful employers to determine market pay rates at the individual job level. 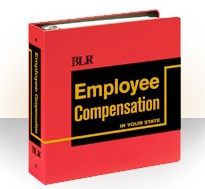 Compensation.BLR.com is your single-source website loaded with constantly updated salary data on thousands of jobs, plain English updates on how to keep your pay policies in line with changing wage & hour law, and easy-to-use tools for making smart payroll decisions. Stop paying too much – or too little – to retain those employees you can’t achieve organizational excellence without. Take the Online Tour and see what Compensation.BLR.com is all about! HR and Benefit Managers have relied on this “benefits bible” for over 15 years as their answer to simplified and clear regulation analysis! Arranged alphabetically by topic, this unique service explains in plain-English all key state and federal wage and hour laws – from minimum wage to overtime classification. BLR’s exclusive wage and salary survey data insures your pay rates are right for any job in your state and region. If you are a professional in the field of compensation, sales compensation, executive compensation, benefits, work-life or total rewards, WorldatWork is your human resources association. 877-951-9191 (United States and Canada), +1 480-951-9191 (other countries). Clarifies those difficult state and national Human Resource regulations questions like FMLA, ADA, the Fair Labor Standards Act, etc. 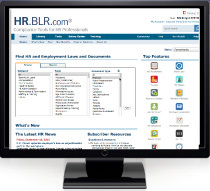 A subscription to HR.BLR.com gives you 24/7 access to a comprehensive library of plain-English HR state compliance help. 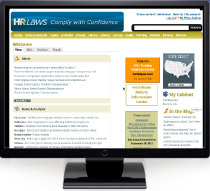 You’ve found the place for fast, reliable employment and labor law answers – so you can do your job better and faster. Recently redesigned and updated daily, HR.BLR.com now gives you reliable salary survey data for national, state and metro areas in just seconds! You have access to current information on thousands of job titles and hundreds of industries. Policies and Forms – Policies and Forms – Pre-written, customizable policies and forms, reviewed by experienced attorneys for accuracy, clarity and safety. Audio Conferences – Audio Conferences – Over 150 on-demand presentations covering every possible compliance issue, from new FMLA requirements to changes in benefit-plan regulations. Manuals and Books – Virtual reference library and comprehensive instruction resources on everything from ADA, to payroll policy, and much more. The use of this seal is not an endorsement by HRCI of the quality of the program. It means that the above programs have met HRCIs criteria to be pre-approved for recertification credit. © 2015 Business & Legal Resources All rights reserved.